This cake is remarkably polarizing. 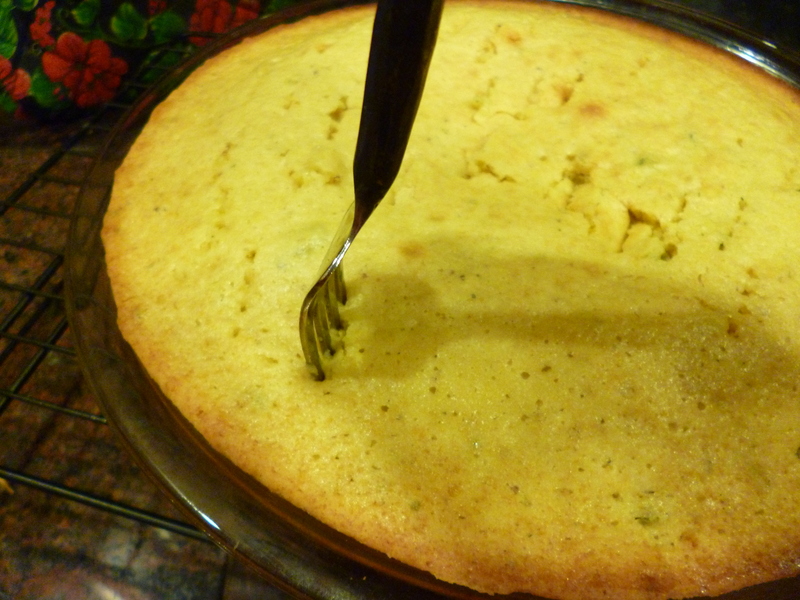 My roommate pretty much hates it, while my officemate has said that it’s “my new favorite anything.” The tangy bits of lemon zest play well with the super moist, slightly peppery/savory olive oil flavor, and the sage ties it all together. Definitely not your typical over-sweet hyper-decadent cake, but I love it! 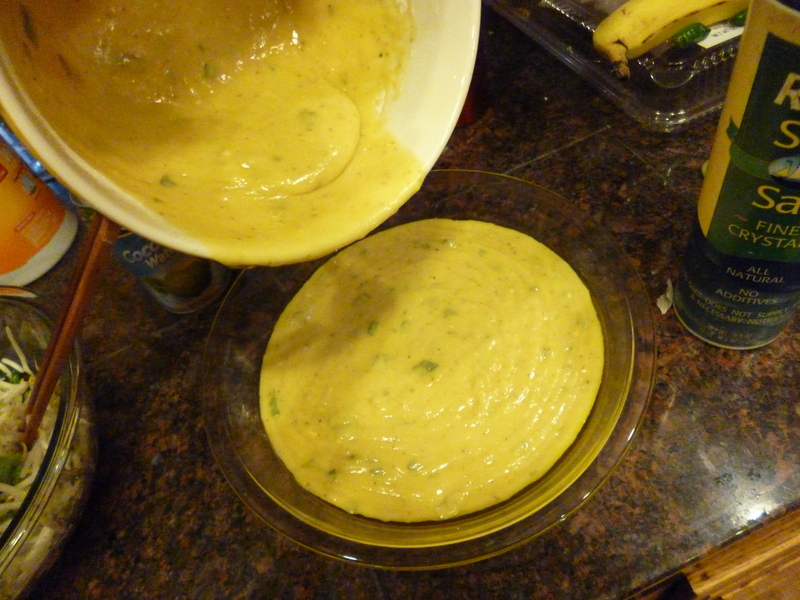 And it’s pretty easy to put together (though I still don’t have much zest for zesting). Also it’s better if you leave it for a day or two, a la fruitcake. I spent a while saying ‘ah love’ and ‘i love’ and ‘ah live’ and couldn’t come up with a pun. I guess OLIVE with that. You’re supposed to use a springform pan, and parchment paper, and greasing with this cake, but I have only the last of those three things. 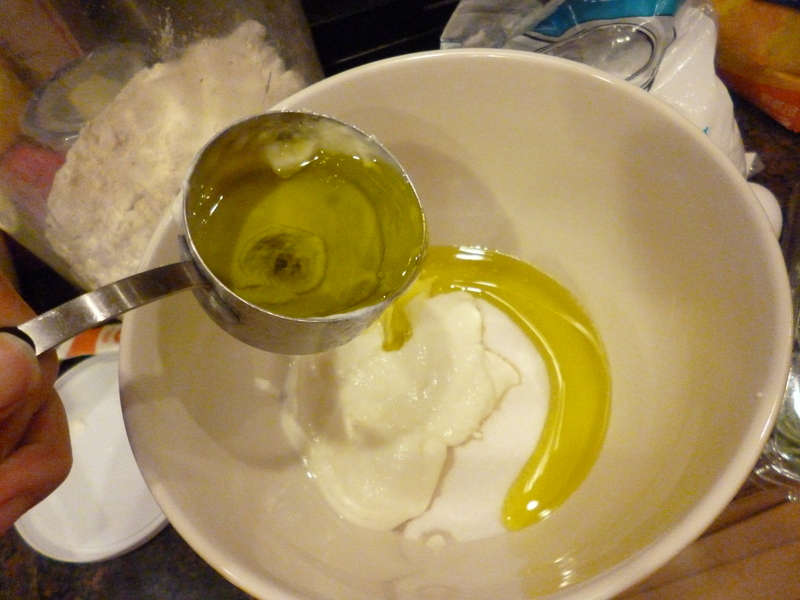 So I greased a cake pan with a generous pour of olive oil, and got to work on the wet ingredients: sugar, yogurt, olive oil, and eggs. Once a dude had this problem where he accidentally crossed all his ‘l’s so people thought they were ‘t’s. He even did this when typing. So he didn’t have much luck with online dating, as he thought he was saying hey to some fine lookin’ young ladies and they thought he just kept saying “YO GURT’ at them. Boy thinks I should get rid of this caption. 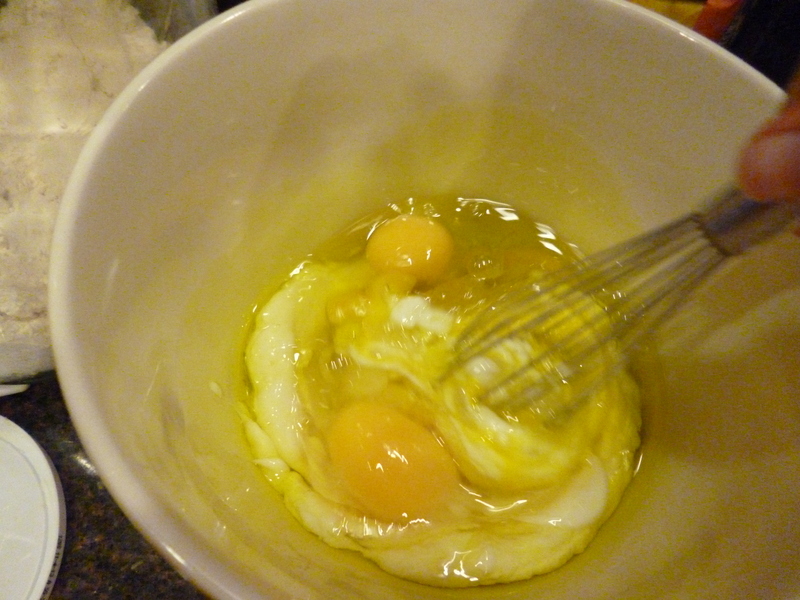 Hand burn and egg yolks bubble! Wouldn’t it have been so great if the witches in Macbeth ended up baking a cake and giving it to everyone alive at the end? Knowing them though, everyone would’ve immediately died. 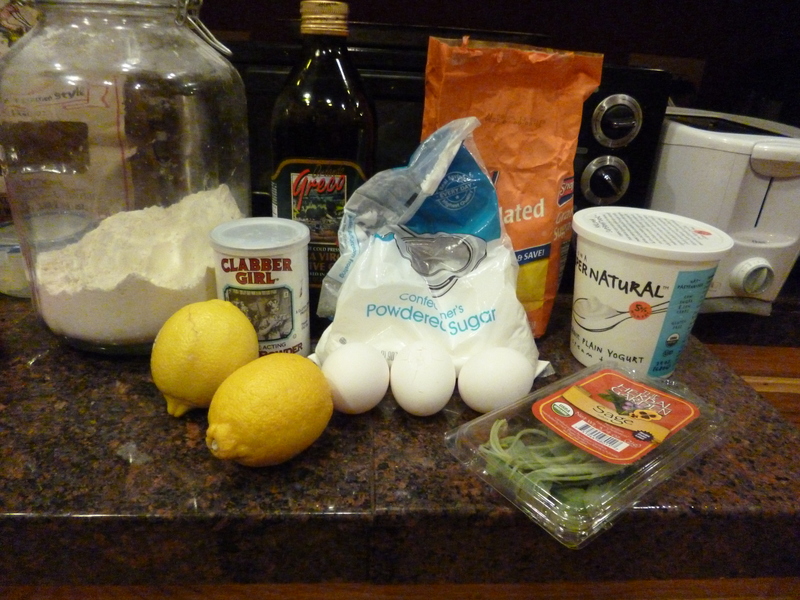 You also get to make lemon flour! 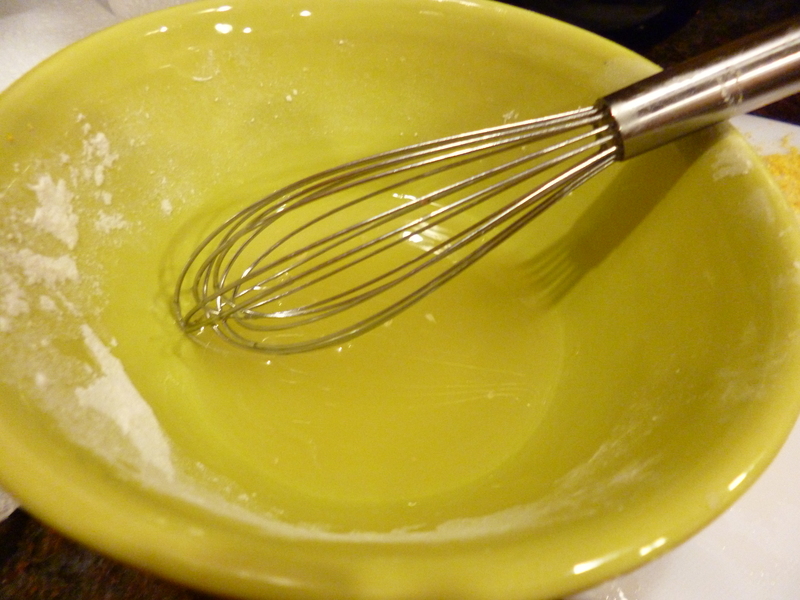 Zest your lemon directly into the flour. I think the more zest the better- about two lemons worth is very nice. Don’t forget baking powder. 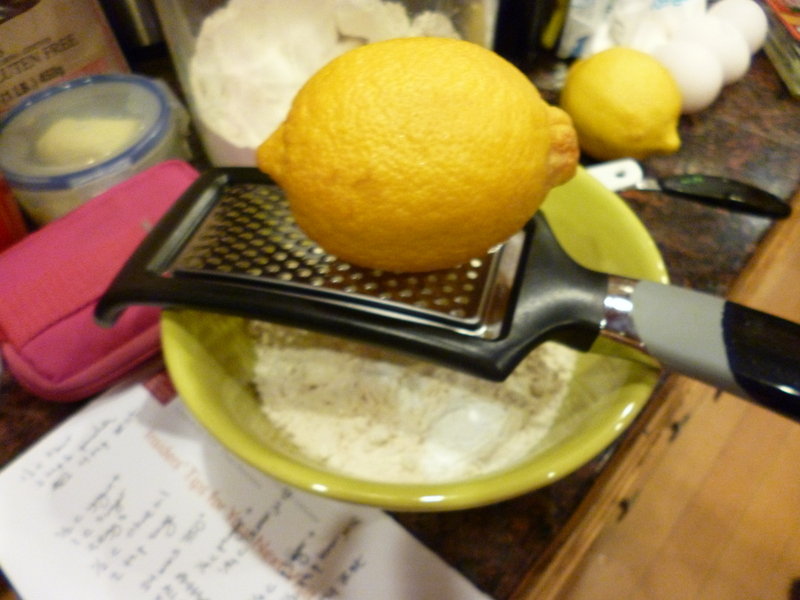 Sometimes I just get bowled over by how grate lemons are! DON’T LOOK WE’RE NAKED! Maybe that’s why pink lemonade is that way: they zest the lemons, so they blush. Definitely the reason, Yen. 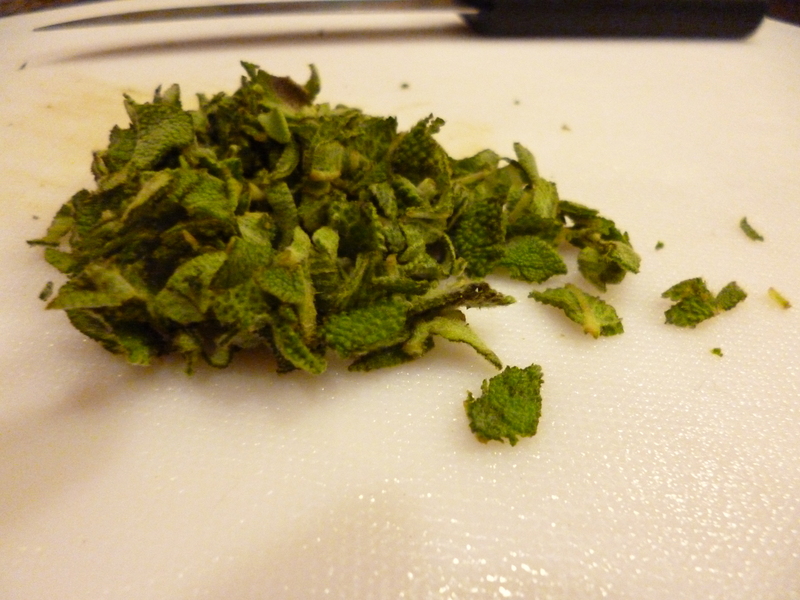 Then “finely” chop up your sage. I say “finely” because I’m not very good at cutting things up but one day I will take a knife skills course at Kendall, really! I’m not sure how wise it is to leave such big pieces here. Oh well, it’s still sage! Mix your sage into your wet ingredients, and then mix in the dry ingredients. Pour into your pan and bake! Mmm is an entire cake a good sized POURtion? Bake that sucker until a toothpick comes out clean (maybe 25 minutes, maybe more). 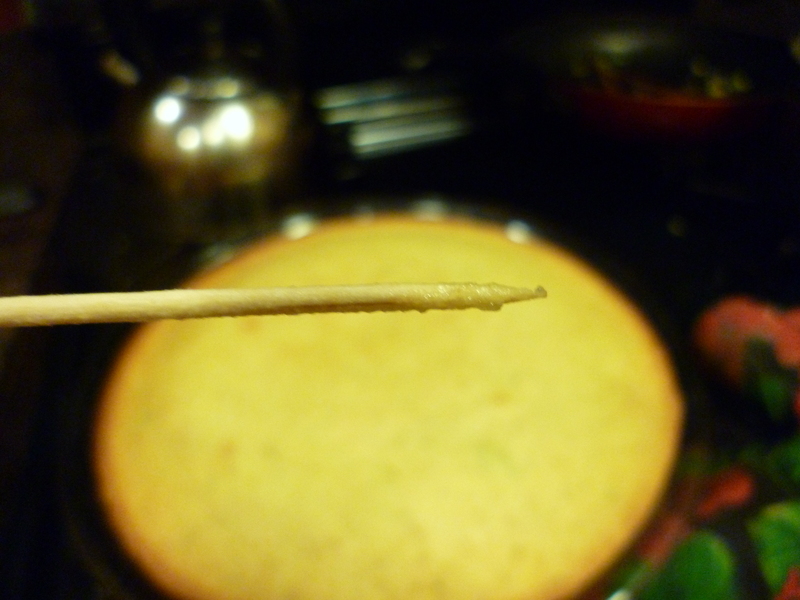 I took a picture of my toothpick test, then put it back in the oven for another 5 minutes. 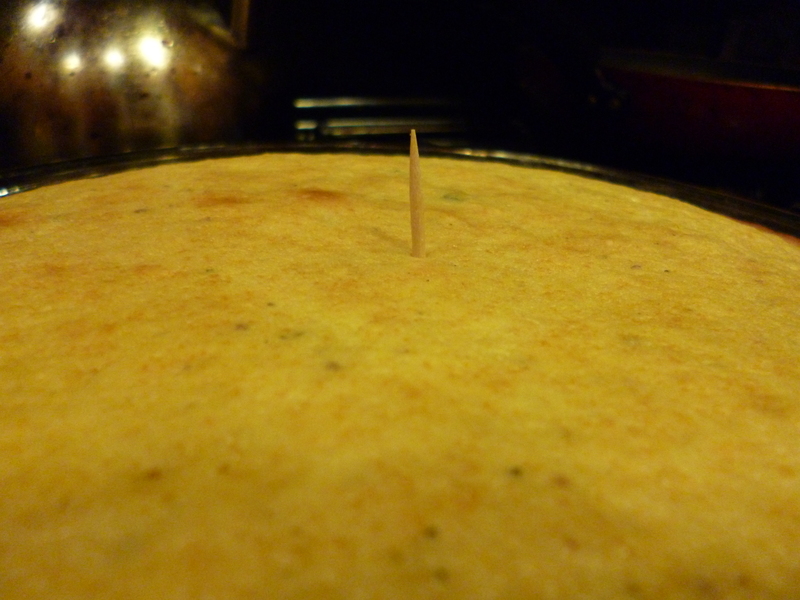 If a toothpick falls in a cake, does anyone choke on it? Yes, probably. I’m pretty picky when it comes to this test: there shouldn’t be more than like 3 crumbs attached to the pick, at most. And use a spoon to carefully spread the syrup all over the cake. 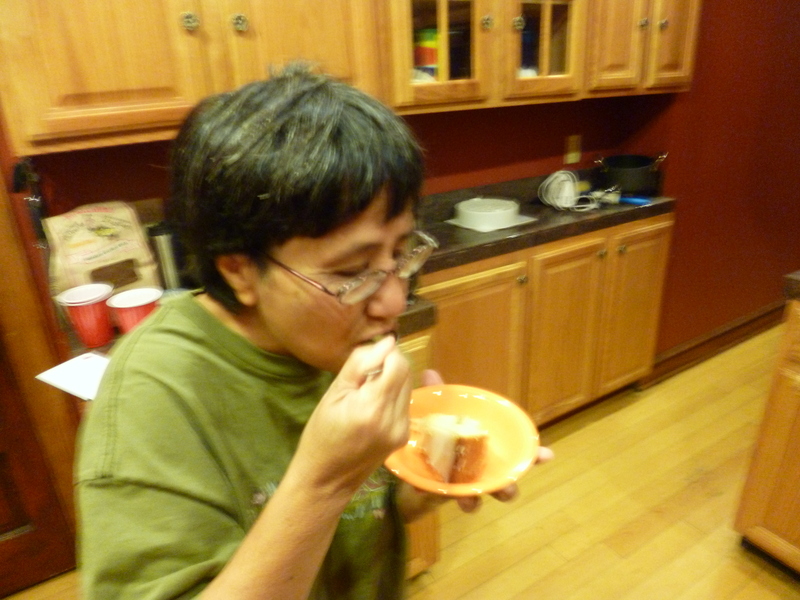 Then (this is hard) you have to walk away from the cake. 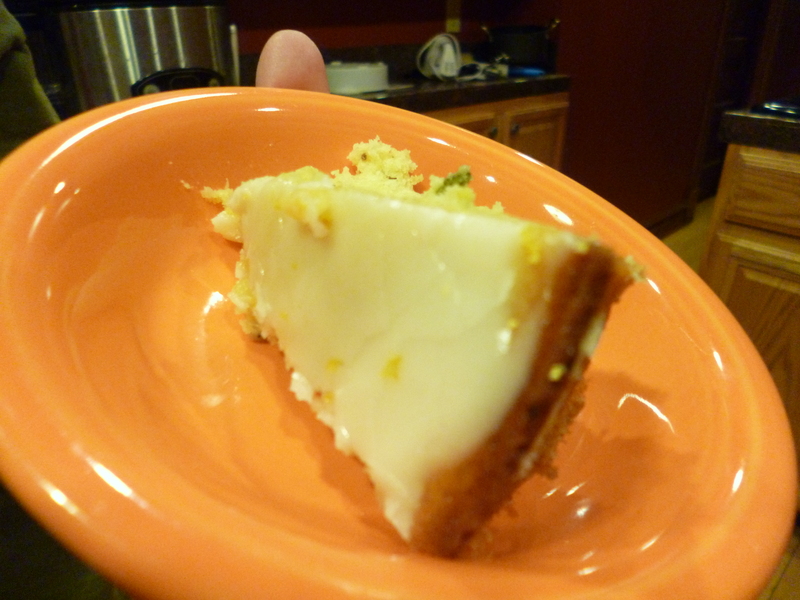 If you put on the icing too early, it’ll melt into nothingness as happened with my second attempt at the cake. So leave it for like half an hour, go play candy crush and lose all your lives or something. Then come back and ice it! 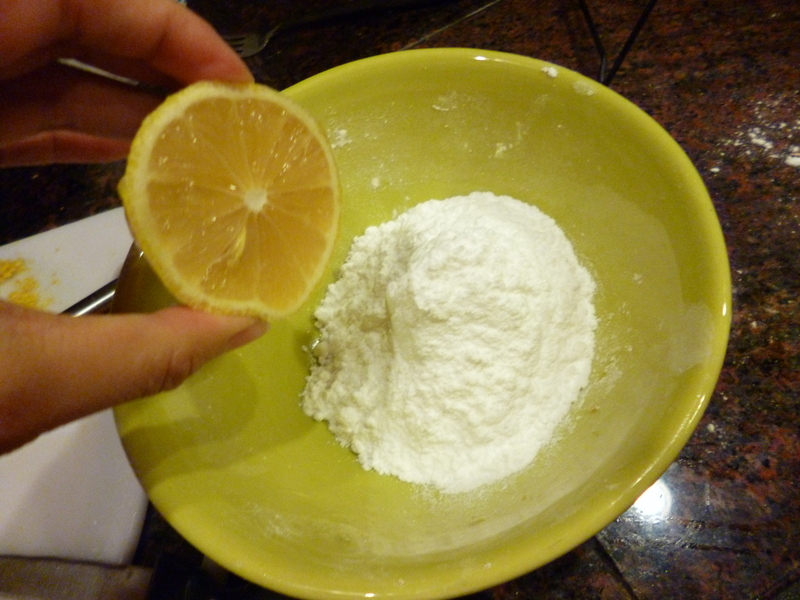 Squeeze the remaining half lemon of juice into a bowl with much more powdered sugar, and go wild! Looks like play-doh, but it’s more like yay-doh! yay delicious icing i mean. Ice it, and cut a piece and give it to your mom for first taste. If she’s anything like my mom she’ll love it. Sometimes I’m so happy I just think man, I sing of this cake! First, oil your pan- if you have a springform, do your springform thing. If you’re like me, just throw a gob of olive oil in your pan and smoosh it around. Preheat oven to 350 (that’s how fast this cake comes together, I’m telling you to preheat now). 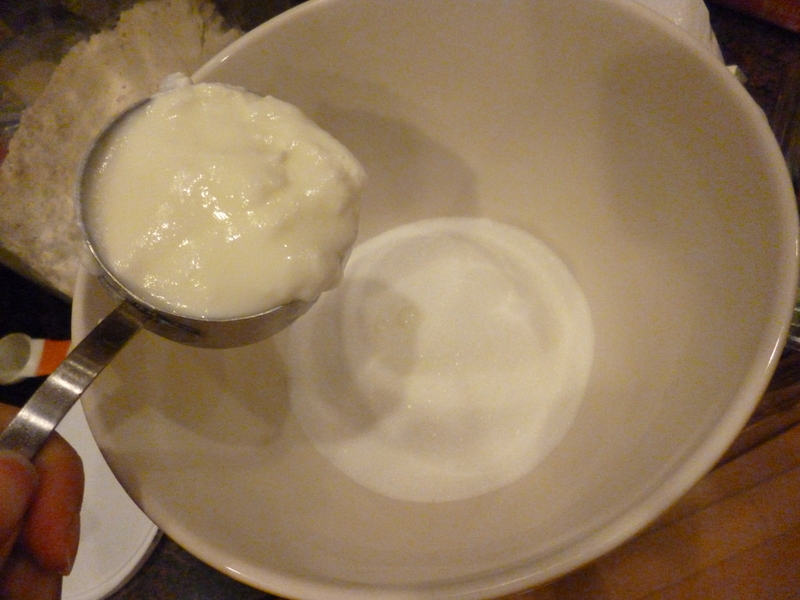 Next: mix the yogurt, sugar, eggs, oil, and chopped sage. 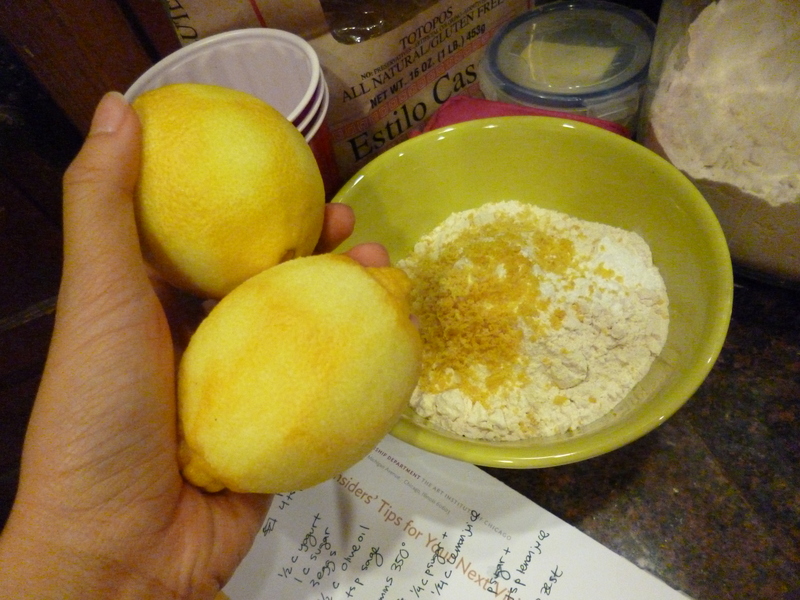 Then: zest the lemons into the flour and mix well with the baking powder. Mix juice of 1.5 lemons and 1/4 c powdered sugar. 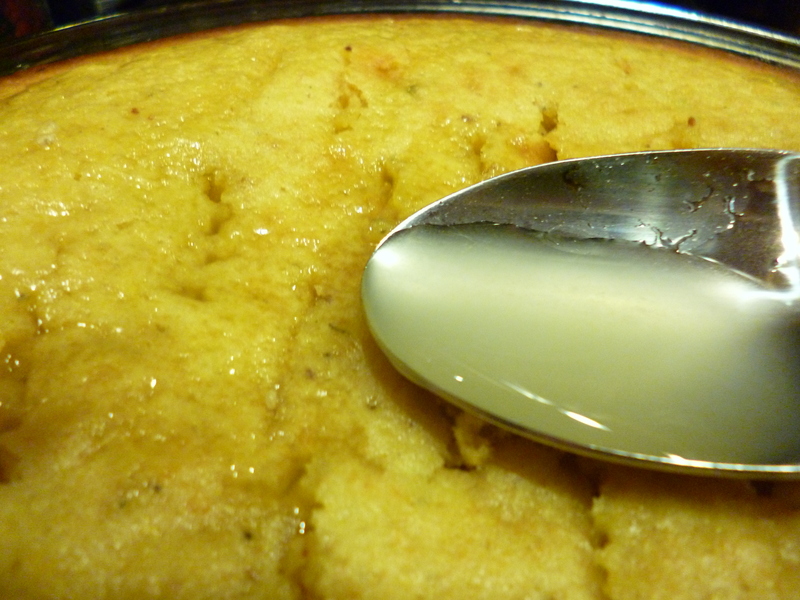 Prick cake all over with a fork, then spoon the syrup slowly over it. Try to get everywhere. It’s so good. Wait. Go do something else. At least half an hour. 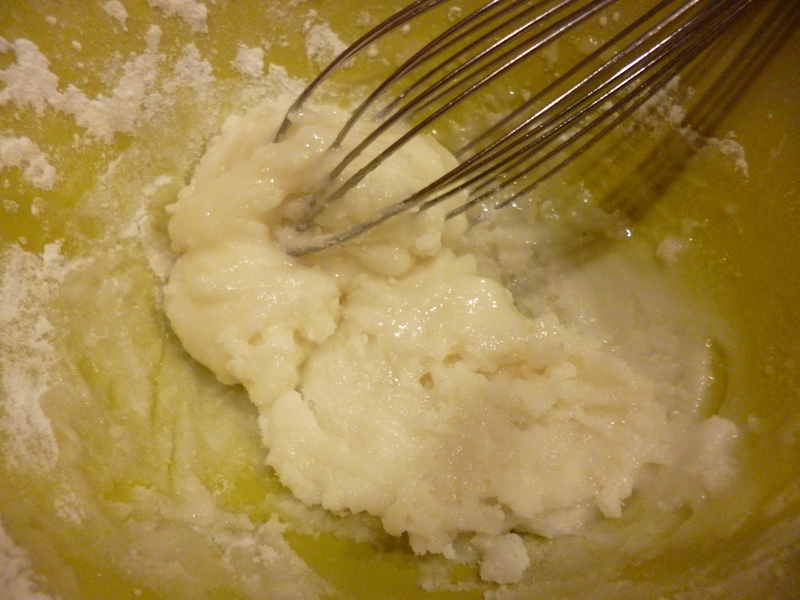 Mix the remaining .5 lemon’s worth of juice with 3/4 c powdered sugar. 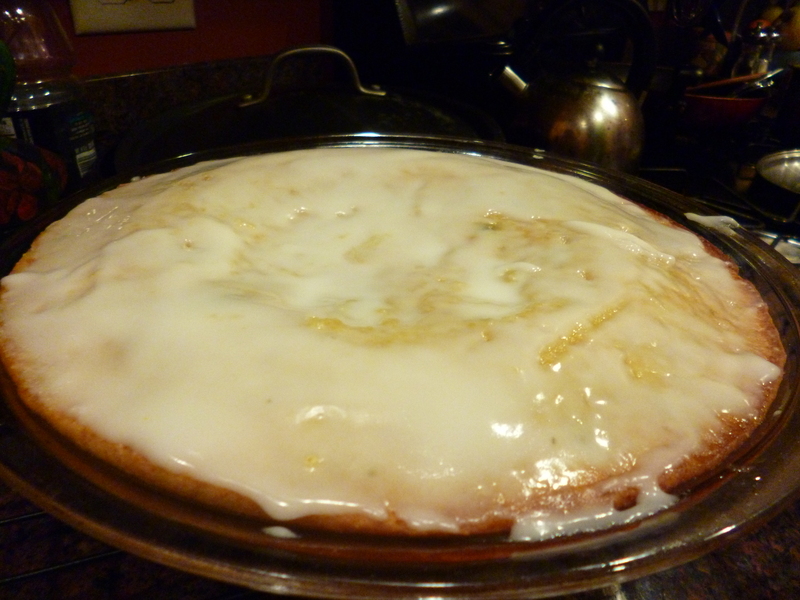 Really squeeze those lemons to get the last few drops if your icing is too thick. Ice the cake. Eat the cake. It’s not a lie. My favorite captions are the really convoluted and contrived ones like the “Yo gurt” one. Thank you! Mark and Margaret often laugh at me as I say words aloud over and over again trying to pun for this blog. These captions are the result of that.